US-based BBVA Compass has unveiled a “goodwill impairment” charge of $60 million in its latest financial results, attributed to its direct banking service subsidiary, Simple. Portland Business Journal, a publication based in Portland, Oregon, home of Simple, reports that BBVA took similar charges related to Simple in 2015 ($17 million) and in 2014 ($12.5 million). Thus, the total write-down now stands at $89.5 million, since the BBVA’s acquisition of Simple three years ago. BBVA paid $117 million for fintech start-up Simple in early 2014. At the time, BBVA said Simple had 100,000 customers, although various external publications and reports gave a considerably lower number of around 33,000 active customers. Carlos Torres Vila, CEO of BBVA, told analysts at a recent conference call that Simple “is growing very well”, adding 30,000+ customers a month at a low cost of acquisition. In a Financial Brand “snarketing post” last year, Ron Shevlin, director of research at Cornerstone Advisors, questioned Simple’s claims. No customer numbers were ever disclosed by Simple. The company’s CEO, Josh Reich, stated in spring 2016 that “if it were a traditional bank it would have needed 850 branches and 6,000 branch employees to support the number of customers” it had by that point. Reich’s ratio of 6,000 branch employees to 850 branches is “perfectly in line with what’s really going on in the industry”, Shevlin comments. According to Cornersone’s research, traditional banks and credit unions in the US hold about $115 million deposits per branch. So, Simple’s 850-branch comparison means that it has $98 billion (!) in deposits. 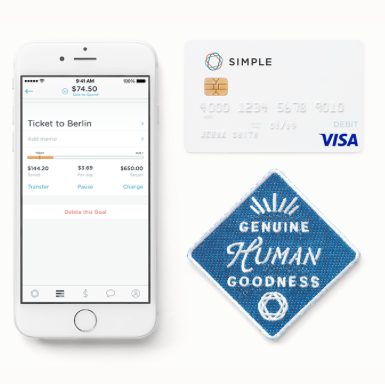 Simple’s parent, BBVA, has 700 branches and $65 billion in deposits. The Association of British Credit Unions (Abcul) says it is making progress with its Model Credit Union initiative, to modernise the tech and operations of its members. Three credit unions are now live with new core and mobile banking software. Abcul's CEO position comes with a circa £70,000 annual salary. EXCLUSIVE: UK-based Association of British Credit Unions (Abcul) has suspended its plans to migrate its member credit unions onto its new tech platform, Banking Technology understands. Banking Technology puts the banking innovation in the US under the spotlight. The market is not short of digital offerings: Simple, Moven, Kabbage, Acorns, Earny, Debitize, MagnifyMoney and more – take your pick! David Hijirida is replacing Dickson Chu who was temporarily working as the interim CEO.